LibreOffice is the default office suite in almost every desktop Linux distribution, and the Linux community has done a lot to help support, develop and promote LibreOffice over the years. So we like to meet up with Linux users and free software enthusiasts face-to-face – and on April 21 we were at the 17. 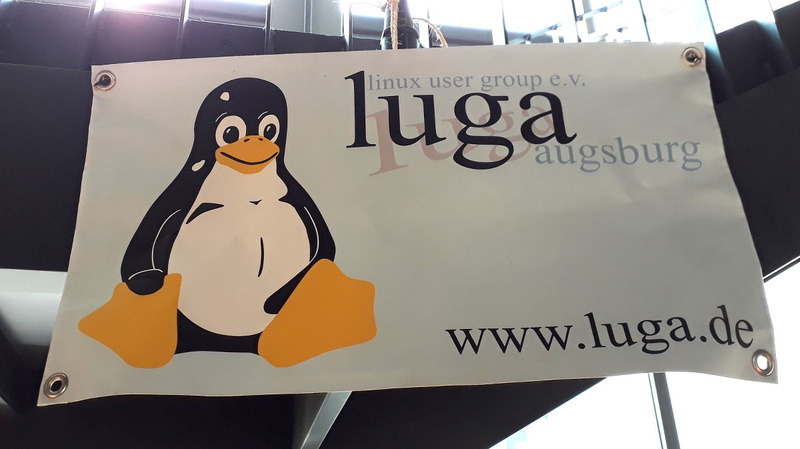 Augsburger Linux-Infotag in southern Germany. Virtually every Linux user has heard of LibreOffice, so we didn’t have to explain what the software does. But we talked about what the community is doing, some things we’re working on, and how people can help. 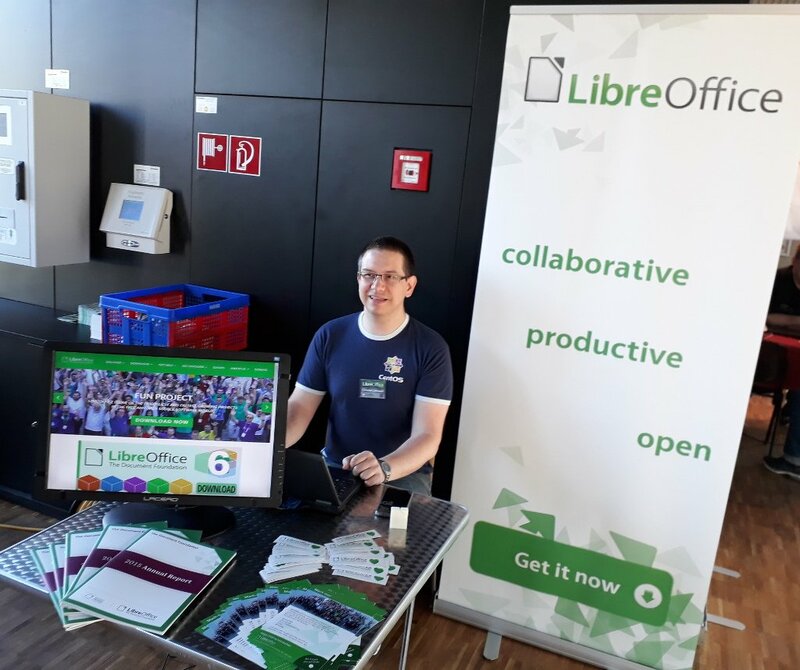 One especially hot topic was LibreOffice Online – so we demonstrated the latest version, showing its collaborative editing features. 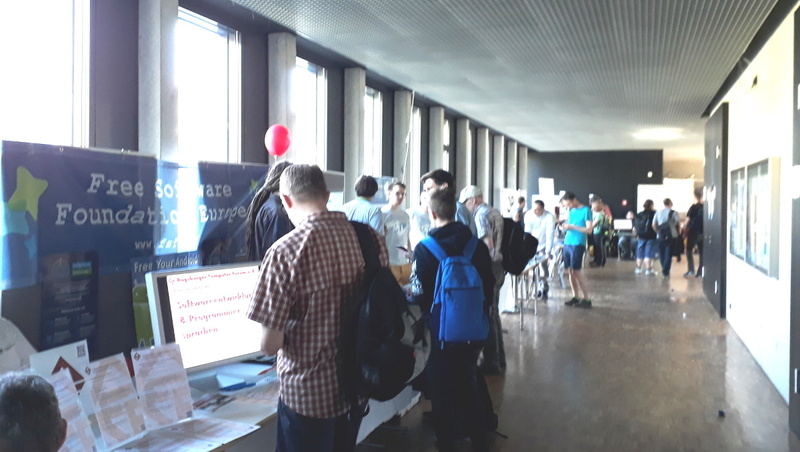 Many other Linux and free software-related communities were present, and there were talks on security, programming, networks and containers (eg Docker). In the afternoon, Mike gave a talk in German called “LibreOffice: where we’re from, where we’re going, and how to get involved”. On the whole, it was great to meet so many passionate FOSS fans, and we look forward to going again next year. Thanks to everyone who stopped by and said hello!